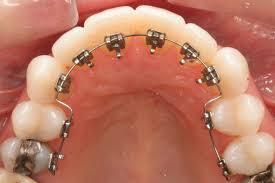 Patients no longer need to be fearful or self- conscious about wearing braces. The first step in improving your smile is to furnish yourself with more information about the treatment options available to you and clear your doubts and misconceptions about braces with facts and not depend on hearsays for your decisions. Most people believe that braces are for kids only. The truth is, with better dental health awareness and improvement in the orthodontic treatment techniques and materials, more adults are seeking treatment with almost half of our orthodontic patients being adults. In fact, in recent years, there has been a significant increase in the number of orthodontic patients aged 20 to 45 years. The biological process involved in moving teeth is the same in adults as in children. 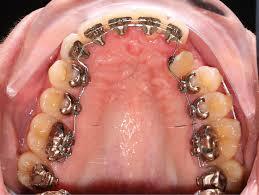 Therefore orthodontic treatment can be successful at any age. However treatment approaches and objectives in adults may differ from that in children. This is because the concerns and requirements are different. The fact is you are never too old to be at your best. Regardless of age, if you are unhappy with your profile or with the way your teeth are, orthodontic treatment is a worthwhile investment. We treat with the most comfortable , fast and predictable lingual systems in the World. The ratio of adults seeking orthodontic treatment has been on the rise in the last 5 years. Progressively better understanding of bone cell reactions to orthodontic forces has lead to the success of adult orthodontics. Today healthy teeth can be moved at almost any age. The American Association of Orthodontists estimates that nearly more than 1,000,000 adults in the United States and Canada are receiving treatment from an orthodontist; one in five orthodontic patients is an adult. Although the results are good, the main stumbling block in adults seeking orthodontic treatment is the visibility of braces in the mouth, be it metal or ceramic. Lingual or Invisible Braces are applied behind the teeth and allow you to smile with confidence. These braces are the truest Aesthetic alternative to create a natural beautiful smile. Like in the visible orthodontic technique the appliance consists of brackets that are bonded to the enamel of the teeth and metal wires that are engaged in the bracket slot. 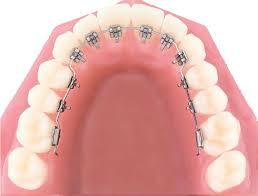 The brackets allow the fixation of the wire to the teeth. The elasticity of the various alloys used for the wire fabrication together with the tension of the wire creates the required force for tooth movement. In order to achieve a perfect alignment of the teeth, the brackets have to be positioned accurately on each tooth .The very accurate positioning cannot be achieved directly because visibility and access are difficult on the lingual surface of teeth. The brackets are first positioned in the laboratory on plaster models, and then transferred into the mouth by means of an elastomeric splint. The adaptation period is from 3-7 days. Mild speech disorder with brackets in the upper arch, the ‘ s ‘ sounds and whistling consonants can whistle more than normal during the first hours or days of treatment. However it will never be so pronounced that people can no longer understand you. You might be more or less affected by this adaptation period depending on your own sensitivity and on your motivation. The different protection materials we provide and our availability to help you will minimize your discomfort during this adaptation period.